What a FANTASTIC morning!! Mary and I got to the airport and parked next to the plane. It's been 5 weeks since last time in the air. Our ground crew skills are still sharp. We uncovered, untied and saddled up in good time. My preflight was a bit longer then normal only because I wanted to really go over 679er. A call to Wilmington Ground "Archer 28679 at Red Eagle ready to taxi for VFR departure to Millville with information "T"ango" We were cleared to taxi to r/w 9 at K5. Run up complete and cleared to go we were off to the east. Light traffic at Millville today as we approached at a 5 mile 45* for left downwind r/w 32. Checking out the wind sock it looked like a decent crosswind but not real strong. The AWOS was out so I was checking out smoke stacks as I turned base to final. Picking up the windsock I now see a tailwind. I was hot and high for my first landing in 5 weeks. I was holding 10' over the runway and trying to loose momentum and decided it was time for a go around. Full power, climbing out first notch of flaps out followed by positive climb and clear obstacles for the last 10* to come out. Ok cleaned up, climbing to 1000' and turning crosswind to get myself squared away. This time I was slower and lower holding it off listening to the stall horn taking advantage of that long runway to re-imprint that landing picture. Down smooth with a slow roll out to turn off for the tie downs at Antino's. As always a very good breakfast quesadilla (the special of the day)and great service. Mary and I finished and saddled up for home. We had to get back take care of the zoo and get ready to go to my friend Pete's wedding. Departed 28 Millville and called Wilmington 18 miles out heading for the Delaware river. Flanked to our left was the always familiar landmark of the Salem Nuke plant cooling towers. I listened to the ATIS (Automated Terminal Information Service) and made my call...."Wilmington Tower, Archer 28679er 18 to the south east level 2,800, inbound for full stop with information "V"ictor. Again I got a straight in r/w 32 report mid river. We tried to spot the traffic on a one mile left base for 32 cleared to land just ahead of us but never saw it. This landing was much better, trying to nail a short field. I went through my checks, eventually adding the last notch of flaps and crossed the numbers at 60kts with a flair and chirps. Very nice, I feel much better. As I am rolling out I contact the tower to advise 679er for parking at Red Eagle. I get clear to end of runway and right turn to to taxiway "K"ilo. As I am rolling I question clear to cross 9/27? I was told I cleared you to the end...he sounded ticked. I wanted to double check since he did not mention cross 9/27 as most of the tower folks do. I responded clear to cross 9/27, thank you sir. Aircraft secure, we head home with 1.2 in the book today. I know, a short hop but I need the flying fix. Hobbs time a bit more then what it takes to get back and forth to Millville but I did not want to move until I had some temp in the oil, I figure time well spent. I have not been in the air since December 20th! Between weather and bronchitis I just haven't felt good enough to saddle up. With the bronchitis cleared up and my ears feeling normal I think it's time to get back to flying. Saturday looks to be Brrrrrrrr.....COLD but somewhat clear. I think I will work on short field takeoff and landings. 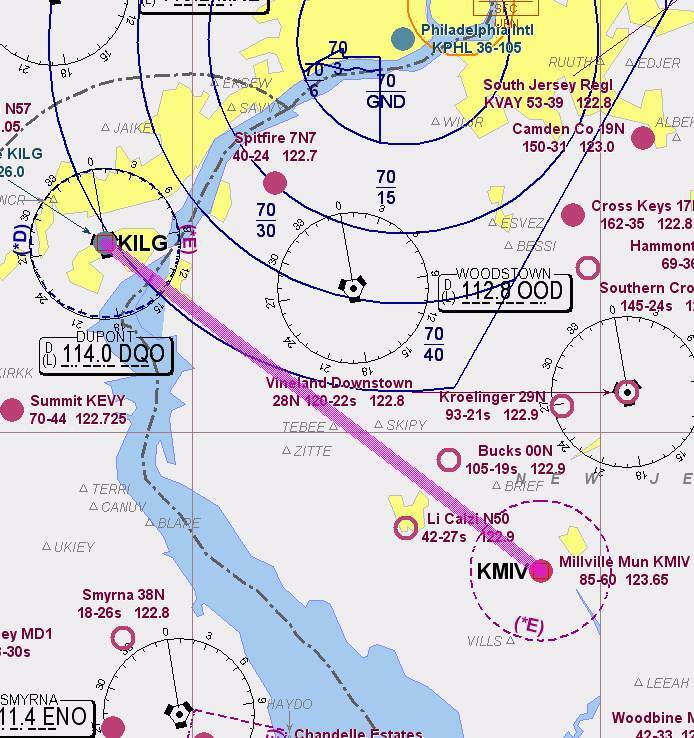 I am going to plan for a quick hop to Millville for breakfast then off to Cape May (WWD) for a few landings, then north for home at KILG. 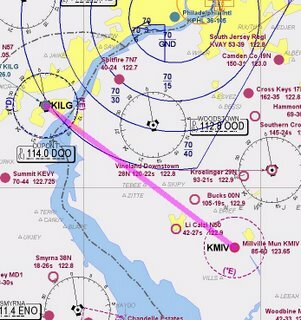 I don't think my Bride will go with the takeoff/landing plans but if she does decide we will just head to Cape May for a day of strolling through the shops. Mary and I have been checking out places to Stay in Myrtle Beach, S.C. It looks to be under 4 hours not counting a stop in Williamsburg to do lunch with friends. I am working up a flight plan and checking out all the FBO and Hotel info. It looks like a mid April trip as of now but things can always change. It looks like Mary and I will have to pass on the Fly-In this weekend. We both have been fighting bronchitis and with the meds and stuffy head I rather not attempt to fly. A lot of aircraft will be in the air and that's not a place for me to be without a clear head on my shoulders. My last count was 76 attendee's and 35 aircraft. I'll be cooking breakfast for my Bride at home wishing we were there. Look forward to the pictures from the Fly-In. I hope the group has fun!! North East Group schedule has Sky Acres 44N as the next stop for February and then off to Orange County KMGJ in March. With the holidays completed I decided to begin the King IFR training videos that Mary and Santa tucked under the tree for me. I have read about the many comparisons with all the instructional videos out there but everyone seems to give the nod to King. Yes, they still have that strange humor and they can put you to sleep at times but overall they get a thumbs up. For my Private Pilot License I studied the Cessna training program that was put together by King. For the "IR" (Instrument rating) I will once again be a sponge and soak up as much as I can with the training set then take my test. My goal is to get that test out of the way then attend a 5 or 10 day course to "finish up" with the air side of the training. 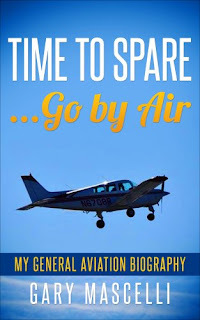 The Instrument Rating - Disc one; En Route Charts, DP's and STARS is completed and I am just getting ready to fire up the second disc in a set of nine. Disc two is labeled "approach charts" and I just can't wait to get to it. I will update on my progress and continue to update the blog with new adventures.